Star Wars has made a major mark in December at the box office and everyone took notice, including James Cameron. Cameron recently announced that he would be making not three, but four Avatar sequels and is well aware that the release dates come close to that of future Star Wars projects. Avatar sequels are expected to be released Christmastime in 2018, 2020, 2022, and 2023 but Cameron explained that he is flexible with these dates. Star Wars: The Force Awakens was chasing down Avatar’s worldwide box office record of being the highest grossing movie of all time, so this head-to-head showdown could prove who really is king of the world. Are you looking forward to the upcoming Avatar sequels? Or do you believe it should remain a stand-alone movie? Comment below and join the conversation! I’m moderately intrigued, though I’m not sure where they’re going to go with FOUR sequels. Cameron’s a great filmmaker, but his last two projects did nothing for me. I’ve only seen “Avatar” once in the theater. Maybe I should give it another shot. 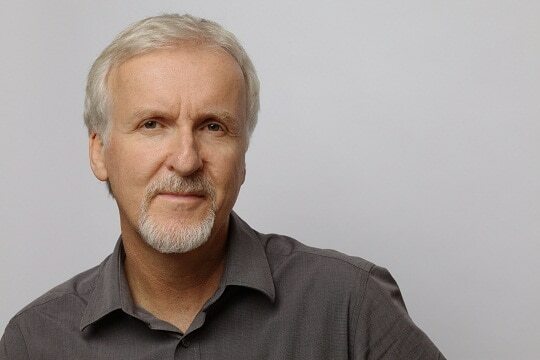 I want to see anything James Cameron want to make. I find it awesome that we’ll get 4 movies from him in the span of 5 years. At the pace he usually releases movies these days, I was half expecting to have a new one every 8 to 10 years, so I’m excited. I’ve worked on the CG for that movie, so I might be a bit biased, but Avatar might be my favorite movie ever. I’m still debating between it and Empire Strikes Back, but I absolutely loved that movie. Sure, the story is simple, but the world he built is just amazing and I can’t wait to see more. I had read his first draft of his script years before he made it and I was amazed at how creative his world was. Learning that I was going to work on that was one of the most exciting moments of my life and seeing it come to life was something very special. So yeah, I could say I was a bit biased, but I honestly believe I would have loved that movie even if I wasn’t involved. I can’t wait for the new ones. I’m hoping that each movie takes us to another planet or moon. Cameron is capable of coming up with a suitable pseudo- scientific explanation for this. Like Adonis Creed said, “…You the champ? You the champ, right?…Show me.” I’m a “crearive type” and have no fear. I’ll pit my skills against anyone. You best me, I wanna learn from it.